B2C is a ‘social enterprise’ of The WERX Foundation Inc, a non-for-profit charity that assists people who are unable to access mainstream employment or education activities. A key role of the WERX Foundation is to provide support and work skills training in a “live work environment”, for people of all ages who are marginalised through disability, or other disadvantage. We do this through a range of training and work skills initiatives, sometimes in conjunction with government providers, education institutions and community agencies. 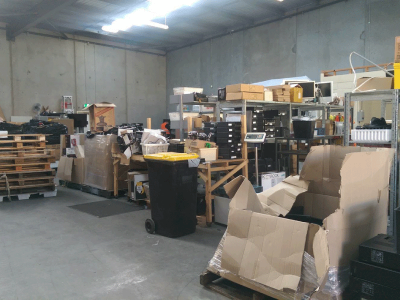 We (our dedicated team of volunteers, employees and trainees) work hard to prevent large scale redundant IT equipment, as well as domestic e-waste from entering our landfills. We clean, data-wipe and repair donated equipment so it can be transformed from waste to valuable resources for communities in need. Your donation is our livelihood. We do not receive government funding. 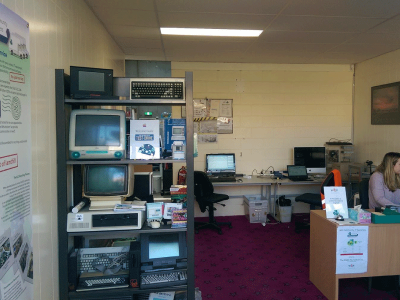 We are a self-funded recycling charity that is only able to achieve this unmatched social and environmental contribution through your donation of redundant IT equipment. The WERX Foundation is a registered not for profit organisation that has Deductible Gift Recipient registration with the Australian Taxation Office (ABN: 51299267395). Any financial donations over $2 to the organisation can be tax deductible.